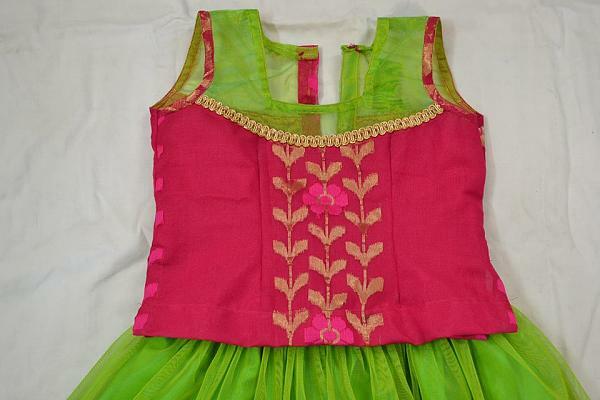 This type of Choli ideally paired with Lehenga and Dupatta (shawl). The Lehenga Choli is the favorite for kids to worn during festivals, wedding or any special events; it is the most eye-catching one. You can make this Lehenga Choli with your tasteful shading combination. ¼ meter each main fabric and lining. Border 2 pieces of desired height with 20cms length. (1-M) = 1cms down for shaping. Join (4-M). Join (3-4) side seam. (0-7) = Neck width = 1/12 chest = 5.5cms. Join the shoulder line. X is the mid point of (6-6’). (X-X’) = 0.5cm inside. 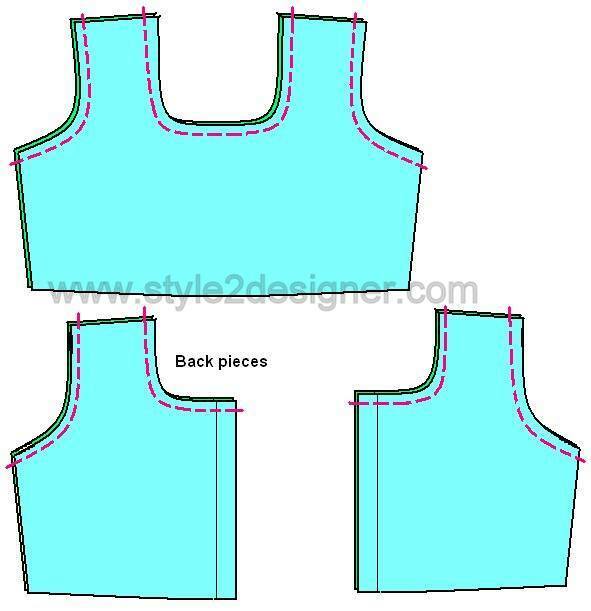 Shape 6-X -3 for back armhole curve. 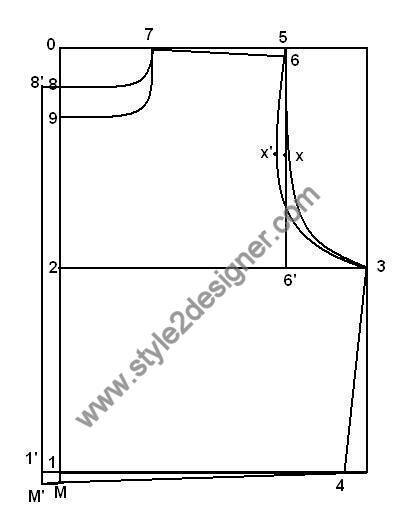 Shape 6-X’-3 for Front armhole curve. (0-8) = Back neck depth = 2.5cms. Shape (8-7) for back neck curve. 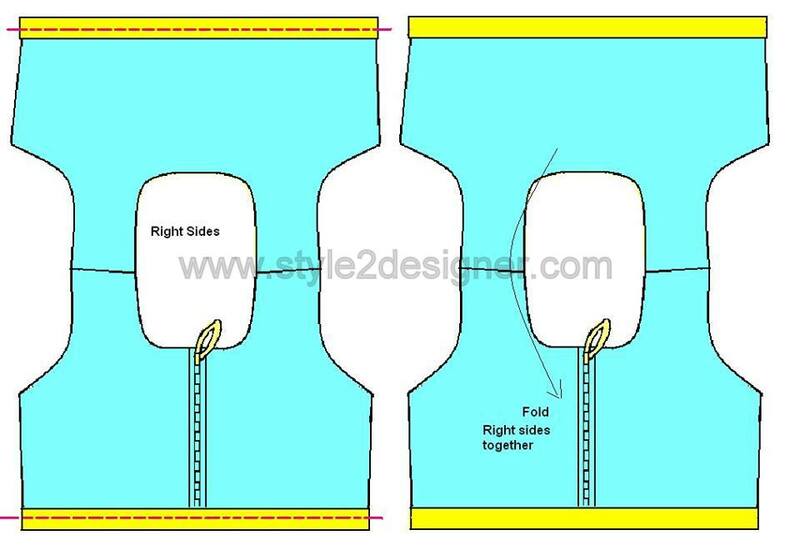 (8-8’) & (1-1’) & (M-M’) = 1cms for Zipper or 6cms for Button stand. (0-9) = Front neck depth = 1/12 chest + 2cms =7.5cms. Shape (9-7) for Front neck curve. 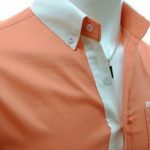 Seam allowance should be 1cm for all sides except (8’-M’). 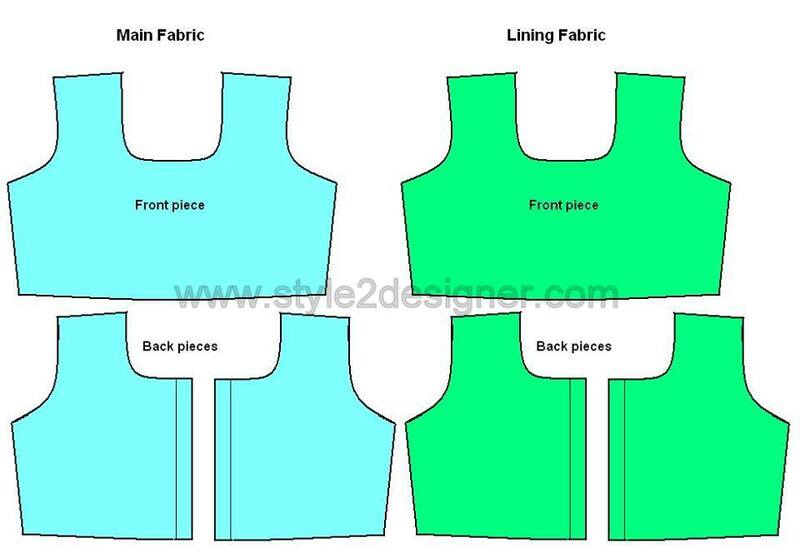 Cut the Front and Back pieces in both main fabric and lining. 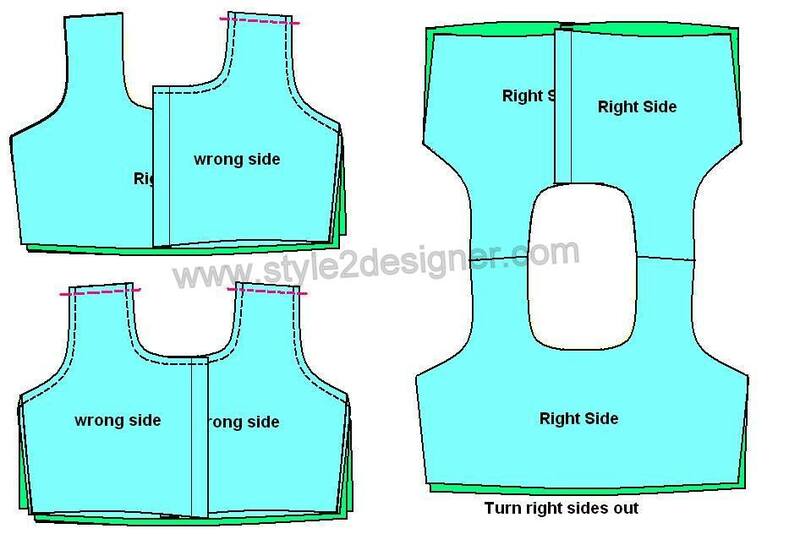 Place Front pieces (2) by facing right sides together and sew along the neckline and armhole as mentioned in the above picture. Repeat the above action for the 2 Back pieces separately. Turn the front part right side out and press with iron. 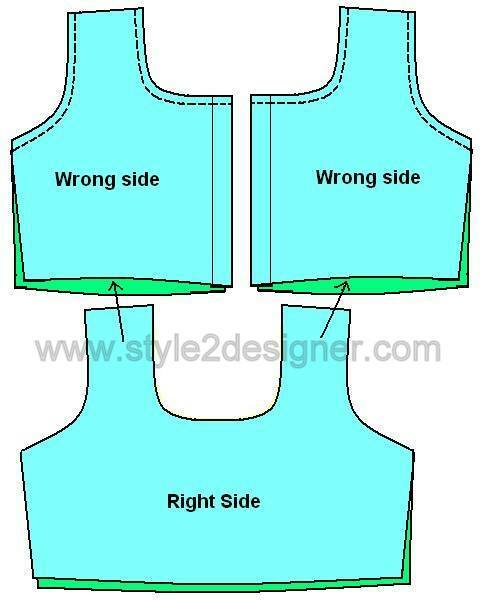 Insert the front part shoulder portion to the back (by facing the right side of main fabrics both front and back parts together) part as shown in pictures and sew to join the shoulders. Place the zipper on the one back part by facing right side of zipper to right side of back part and attach the zipper by using 1cm seam allowance. 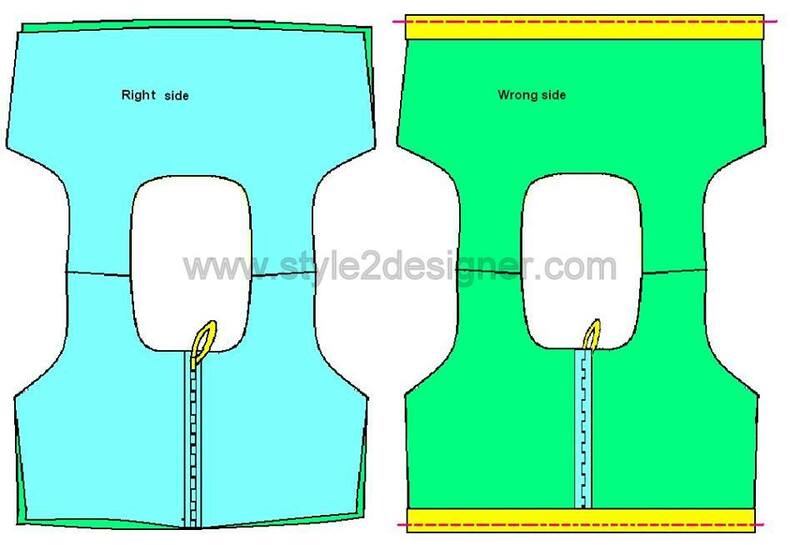 Turn the zipper and press on right side. Place another back part on zipper by facing right side of back part to right side of zipper and attach the zipper by using 1cm seam allowance. 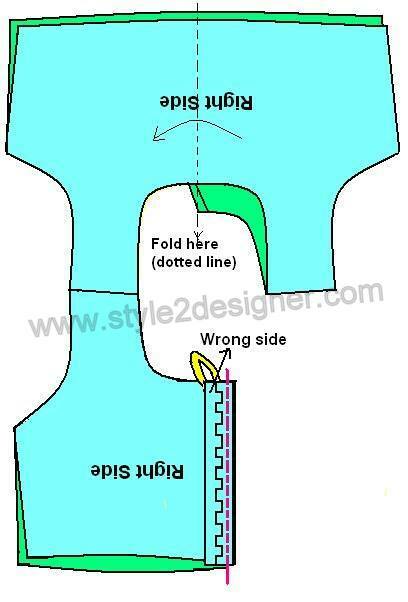 Now we are going to attach Border on hemline. Take Border pieces Place its right side on wrong side of front and back parts separately. Stitch along the hemline with 1cm seam allowance. Turn the borders into right sides and press. Fold the borders 1cm inside and press. Then place it on the right sides of Front and Back parts and sew to fix the Borders on both parts. 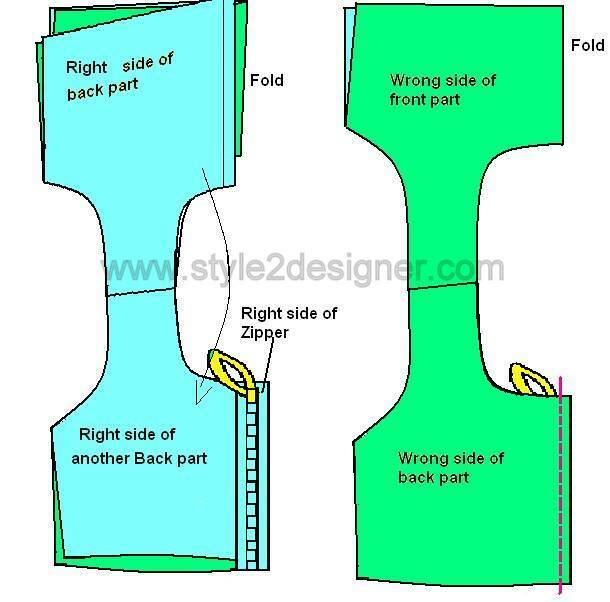 Fold the front part to back part by facing right sides together. Now sew along the both side seams by 1cm to attach sides. Wowwwww u explain very detailed nd clear.